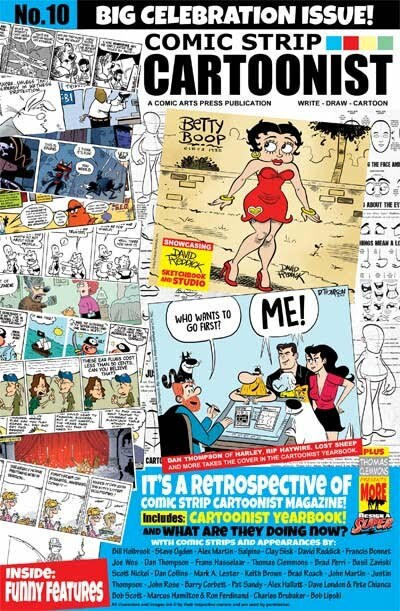 Last month I got the delightful 10th (#10) Anniversary issue of Comic Strip Cartoonist. “Ski” gives us the origin of the magazine, followed by a summary of the first 9 issues. with an update on what those cartoonists have been up to since appearing in the magazine. Then photos of all those cartoonists, and a centerfold of David Reddick’s studio. Plus drawing lessons by Thomas G. Clemmons. All in all I found the entire issue enjoyable. 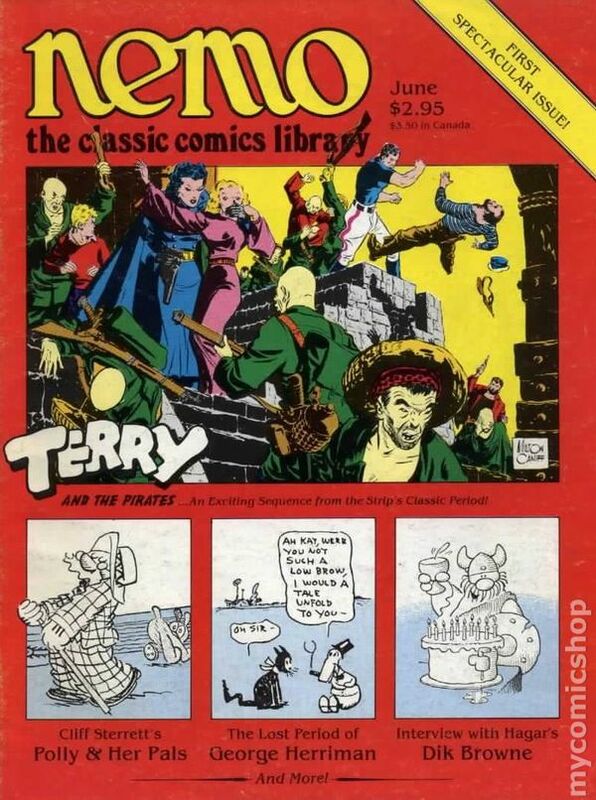 Check it and previous issues out at Comic Arts Press. 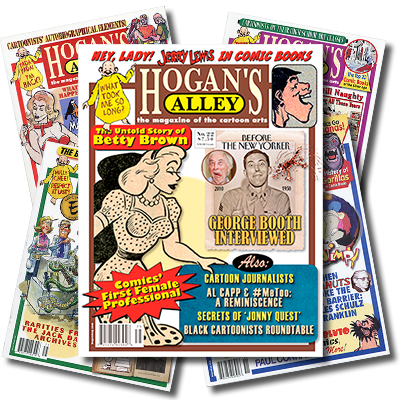 Last week the mailman delivered the always great Hogan’s Alley magazine (#22). I haven’t read all of this yet, but it is automatically recommended reading. A great interview with cartoonist George Booth telling tales of his early cartooning career. Ray Billingsley, Barbara Brandon-Croft, and Lonnie Millsap discuss being syndicated and black. Jerry Lewis in comic books, with art by Bob Oksner, Mort Drucker, and Neal Adams. Fake News! Journalists as featured stars in comic strips and comic books. Dogpatch Dispatch: The dark side of Al Capp as a sexual predator. a 1936 article about Popeye’s creation, cartoonists drawing their characters upside down. and it is already well worth the paltry amount they are asking for Hogan’s Alley Magazine. With a laminated cover?! Is that new? Then, this last weekend, they dropped Penstuff #41. News and comics from the Pacific Northwest. This month featuring Donna (The Desert Peach) Barr. 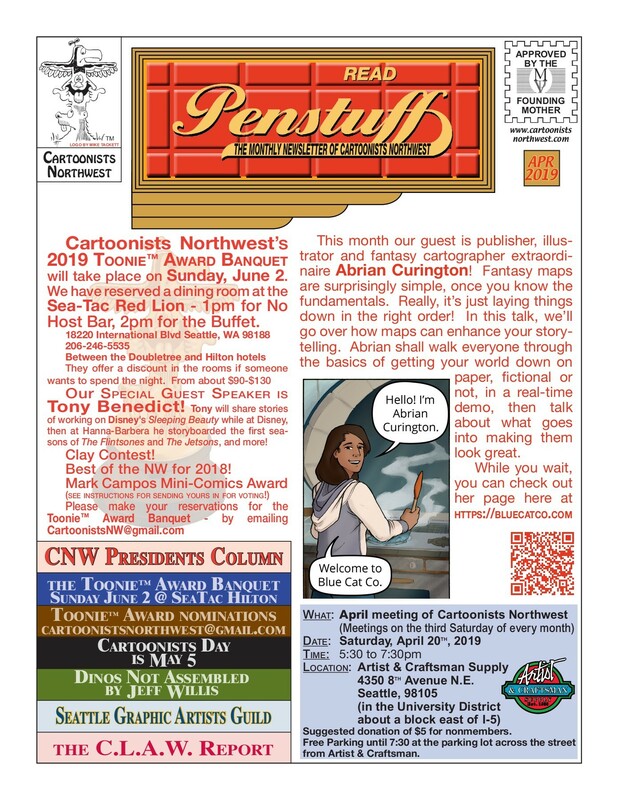 Read the April issue of Penstuff and the archived newsletters. Always interesting and congenial. And free! 19 queries in 0.137 seconds.